Mormon Church Limits Access to Controversial Baptism Records : The Two-Way The church's practice of posthumous baptism has been under fire recently after it came to light that some church members had baptized Holocaust victims. The church said from now on anyone attempting to access restricted names will have his account suspended. Sunrise hits the Mormon church's temple in Salt Lake City. Persistent pressure and criticism have prompted the Church of Jesus Christ of Latter-day Saints to erect a new "technological barrier" in the system used for controversial posthumous or proxy baptisms. "The church is committed to preventing the misguided practice of submitting the names of Holocaust victims and prominent individuals for proxy baptism," says Mormon Church spokesman Michael Purdy. "Anyone trying to access names that have been restricted will have their account suspended and be required to... establish their family relationship in order to have their access reinstated." The Mormon practice of posthumous baptism for deceased souls has been scrutinized in recent months after the names of Holocaust victims, prominent Jews and celebrities were found in church baptism records. The controversy briefly touched the presidential campaign of Republican Mitt Romney, a member of the Mormon faith, when Holocaust survivor and Nobel laureate Elie Wiesel asked Romney to denounce Mormon baptisms of Holocaust victims. Last week, Mormon president and Prophet Thomas Monson issued a letter to followers around the globe, instructing the faithful to only baptize direct ancestors. The letter included a warning about possible disciplinary action and was to be read in every Mormon congregation Sunday. "Abuse of the system will result in the permanent loss of database access," said spokesman Purdy in the latest announcement. A vast genealogical database, with millions of names, is used to select deceased souls for baptism. Mormons believe the rite offers eternal salvation to those who did not have the opportunity to embrace the Mormon religion during their lives. The posthumous baptisms are among the most sacred practices in the faith and Mormons believe they have no effect if the deceased souls reject them. The new restrictions also happen to keep watchdogs from searching church baptism records and exposing controversial baptisms that Mormon leaders have promised to block since 1995. "I have been effectively stopped," says excommunicated Mormon Helen Radkey in a story in the Salt Lake Tribune. Radkey had located in Mormon baptism records the names of Mahatma Gandhi, Holocaust victim Anne Frank, relatives of Jewish activists Elie Wiesel and Simon Wiesenthal, assassinated Wall Street Journal reporter Daniel Pearl and other prominent Jews and celebrities. She is often the source of news stories about controversial Mormon baptisms. "Obviously, they have been very concerned about the data that has been coming out" Radkey told the Tribune and responded "of course" when reporter Derek Jensen asked is she was being targeted by the church action. 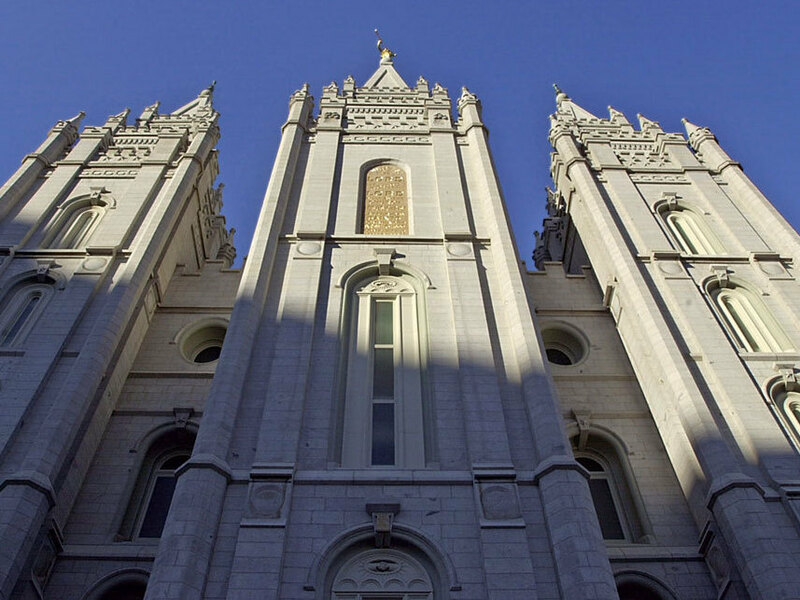 "It is ironic for someone to claim they are being targeted by the measures we have taken to prevent unauthorized submissions for baptism," responded Mormon spokesman Purdy. "We are doing exactly what we have been asked to do and what we said we would do—denying access to names that should not be submitted because they are against our policy." But Purdy acknowledges that system may be blocking access by Radkey and says she has no official account for access to the records. "If she, or anyone else, is misusing a Church member's identity to search for Holocaust names, then the system is set up to block those kinds of activities," Purdy says. Jewish leaders began objecting to the baptisms to Holocaust victims in 1992. Several meetings with Mormon officials in the two decades since resulted in promises to stop the practice but it has persisted.